Thanks to an incredibly generous friend who said, “Make a set of keys and fly my airplane whenever you like”, my wife and I just returned from a fun and relaxing flight along the Southern California coastline in a vintage 1947 Stinson 108-2 Voyager. If there’s a better way to commemorate the end of the holiday season, I can’t think of it. Winter flying in SoCal is darn near unbeatable. I actually like it more than summer flying, when temperatures rise and the coastal stratus can foil the best-laid plans of the VFR-only set. Anyway, cruising down the beach with the windows open, enjoying fresh air and clear skies was a perfect start to what will hopefully be a safe and prosperous new year. It also got me thinking about what would make this trip around the sun a positive one for the world of aviation. In the Chinese zodiac, this is the year of the horse. Conservation groups have designated it the year of the salamander. CNN claims it will be the year of the blame game. For aviators, I firmly believe 2014 should be the Year of the Tailwheel. The tailwheel — that tiny little protuberance below the rudder — is the answer to many of our problems. I got the idea for this from an email exchange with AOPA’s Alyssa Miller, who related the story of flying a Cessna 170B out of a 25 foot wide, 900 foot long turf strip crowded in by trees, a barn, and a pond. She wasn’t too happy with her first takeoff, but I reminded her that the need to extract maximum performance from a demanding aircraft as she was doing qualified as graduate-level coursework in flying. It’s not beginner stuff. Poor manual flying technique? There’s plenty of that going around (see: Asiana 214). The tailwheel will set you straight! Or rather, you’ll set it straight, lest you end up in the weeds. It’s been proven time and time again that lousy coordination, stall/spin scenarios, loss of control, and takeoff or landing accidents can be avoided through proper training and recurrent flights in tailwheel airplanes. As an instructor, I’ve seen the dramatic transformation first-hand. For the professional pilot: burned out by countless hours in that airliner, bizjet, or turboprop? The tailwheel airplane is a solid gold antidote and will remind you of why you got into flying in the first place. There’s a reason those graying flight deck veterans flock to conventional gear aircraft: they miss flying. 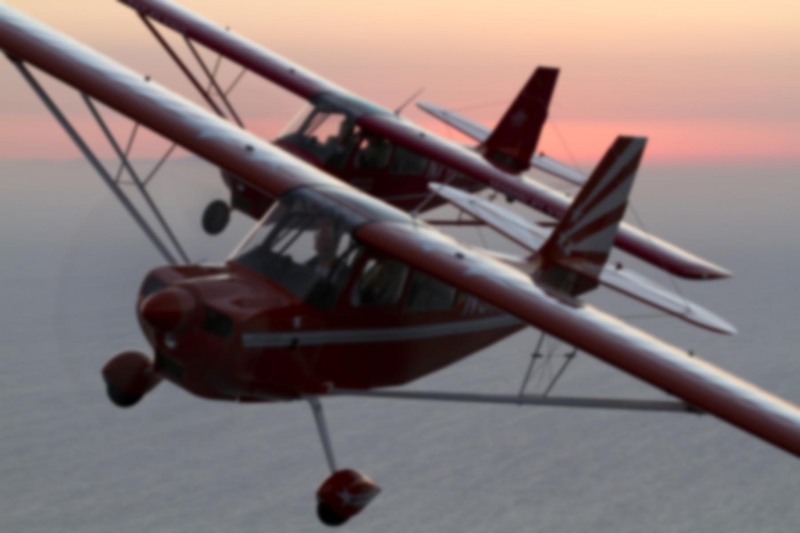 If money is tight, the tailwheel airplanes can help. The best of breed are often the least expensive to operate, simple two-place tandem seat aircraft like Cubs, Citabrias, and Taylorcraft. Worried about your medical certification? Tailwheel airplanes like the Champ are LSA-compliant and can be flown right now without a medical. Why spend $150,000 for a new Light Sport aircraft that won’t be half as much fun as the one that costs 80% less? I’ll never understand that. The new airplane smell may be worth something, but not that much! Tailwheels love unpaved runways. These airplanes land short, turn on a dime — literally — and are both practical and historic. They’ll attract the kids, the aviation geeks, and the ladies. They’re an entrée to aerobatics, warbirds, and just about every other uber-cool airplane you can think of. Looks fun, doesn’t it? That’s because it is. Operating a tailwheel marks you as more than just the holder of an airman certificate; it says you really do know how to fly. From airline pilot to flight instructor to astronaut, fellow aviators will accord real (and well-deserved) street cred. So what’s not to like? Let’s make 2014 the Year of the Tailwheel. Even if it’s just for the endorsement or a flight review, you’ll be glad you did. Sadly, the club I fly with doesn’t have any tail draggers. 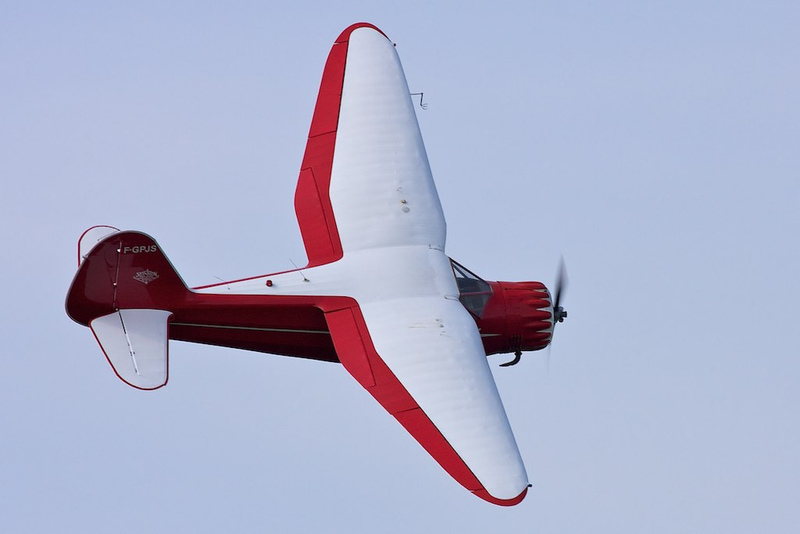 Thanks for the fantastic photos in the other tail wheel article! Yeah, it’s pretty common to find clubs and FBOs without any tailwheel aircraft. For one thing, the CFIs who instruct in them need to really know what they’re doing — how far they can let the student go before they intervene. You want learning to take place, but still allow the trainee to make mistakes. It can be a fine line to walk, depending on the aircraft. The other issue is insurance. Policies sometimes prohibit solo rental, or have other restrictions which limit the airplane’s utility to a club. There are ways around those issues, of course, but the TW aircraft can be a bit more challenging to place in a lease-back or club situation. I am one of the lucky ones that has a club with a Super Cub and a highly experienced CFI that is a great tail wheel trainer – I started in the fall and will continue in the spring. Wow — your club sounds like a model organization. You sagely mentioned the instructor; without a good CFI, a conventional gear aircraft won’t reach it’s full potential in a club atmosphere. Sounds like you recognize and appreciate that vital element! Oh so true, Ron. Nothing like a few landings in a Van’s RV with a tailwheel to wake you up and make you appreciate the simple things in life. I could do it all day if i did not have those troublesome monthly bills to get in the way. Ain’t that the truth? I can see you bombing around the pattern at SNA now, Rod! Love that RV-6 — one of the few airplanes that truly flies as good as it looks. Tailwheelers taught me to land. As soon as you touch the pavement with that “Land-O-Matic”-type gear, it will grab hold of almost any problem and fix it for you. With a tailwheel you have to pay attention and fix it yourself. That made all the difference – to my landings and my aviating. Well said. And that’s the unfortunate part about the “improved” nose wheel landing gear design: it simply does not require the same skill level. So when something goes awry in the land-o-matic airplane, the lucky guy in the hot seat is more likely to have A Bad Day. But if the goal is to build a better pilot, making things easy can prove penny wise but pound foolish. YES! YES! YES! I love this post! I’m such a tailwheel fanatic, that my nose wheel RV friends, steer clear of me, thus they become the focus for my jeers. I actually like all airplanes, but I love taildraggers. Everything you said is true. For those reading this that have shied away from this breed you owe it to yourself to strap one on (with an IP) and give it a whirl. Flight schools like the C172 because it makes average pilots look good. tail wheels make average pilots look bad. Thats bad for business. A bit of tailwheel experience could help all their landings look better, regardless of what they were flying. What’s really bad for business is an insurance claim after a tailwheel airplane gets ground looped or bent! But it still seems pound foolish to throw the baby out with the bathwater, because the Skyhawk guys still find ways to dent their rides. Oh Man, an SR-108. Those aren’t just good friends sir, those are angels. The Stinson SR8 is on the short list (of like 20, ha) of A/C I love to own or fly one day. Just a magical machine. Maybe you can share photos of your adventure. I plan to utilize Open Airplane and try to hit up Sun River/Gold Coast. Back to the topic at hand, the Tail Wheel needs to be tamed, simple as that. The more I practice with it, the more I WANT to learn about it. I agree with previous posters that more clubs should teach/have TW A/C. I realize its about insurance, but too much fun. You’re a Stinson fan? Perhaps I can take you for a ride in the Voyager. Fantastic aircraft. While it doesn’t go fast or carry a lot of weight, the Voyager is appropriately named because it takes you back to a simpler and more elegant time in the history of aviation. I completely agree, tailwheel for me keeps me from getting bored in Fixed Wing flying. I started out flying helicopters and then transitioned to planes for mostly money reasons although I have both tickets. I got incredibly bored with 152’s and 172’s and then got my tailwheel endorsement and unless I really need to go somewhere that’s what I fly. I decided to fly one as my first 2014 flight as well and did just that, I took a Citabria up with a friend on New Year’s Day, flew to an airport with the heaviest crosswind I could find had a ton of fun! 11G21 90° angle. If you want to teach someone why wind correction is so important, put them in a light tailwheel in those conditions. Your comment reminded me of another advantage I’ve gleaned from flying tailwheel airplanes: I think it helped my helicopter flying. The first time I flew an R-22, I was able to hover it unassisted. It took a lot of concentration, and in a stiff or gusty wind I probably would have been hosed, but it was a very exciting moment. I credit the ability to work the cyclic, collective, pedals, and throttle simultaneously to a thousand hours of tailwheel flying. I maintain a list of tailwheel CFI’s and Flight Schools on my blog, Taildraggers, Inc. It is by no means a complete list, but is constantly growing. The CFI’s on the list are the ones who have been proactive, and are always looking for more students to share the joys of tailwheel flying with. I receive no compensation for listing the CFI’s, or for any new students they might attract. I do it because it’s important and needs to be done. I enjoyed your article, and hope many more of our pilot family members make the commitment to learn to fly a taildragger. What a great resource! I periodically get inquiries from people asking where they can find a local tailwheel CFI. And of course many clubs and FBOs could use such a list as well, since they might have a TW airplane but not enough business to employ a full-timer dedicated to that aircraft. I know several California instructors and schools that aren’t on your list. I’ll email you a few names! Thank you. If you get inquiries from schools, please send them to the site directly, so that they can get signed up. I have a set of questions I ask each participating school/CFI to answer to maintain uniformity in the listings. If I reach out to them, they often see if as a sales pitch and ignore the request. As an aviation blogger and author I appreciate good writing on interesting topics and you have hit another home run with this blog. My first airplane ride was in my Dad’s Taylorcraft as we dodged woodchuck holes on takeoff roll from the “back-forty” hayfield. My book, The Rogue Aviator, (http://therogueaviator.com/) has a great photo of the old T-Craft with the Angus bull in the background. The joy of riding shotgun with my father is described in the book. It’s amazing that the bull didn’t charge the airplane! I wonder how many people grow up around airplanes on the family farm today. Considering that the family farm is becoming as rare as the GA pilot, probably not many. Like the guys who went from radial engines to supersonic jets in a single career, I doubt we will see their like again. I like the way you phrase that! Pingback: Year of the Tailwheel » Taildraggers, Inc.
My airplane has tailwheel and I’m not a fan of the layout. I only fly it because I do not have money for anything better. Your missing the point…there isn’t anything better. Is it the landing gear configuration you don’t like, or something else about the airplane? I only ask because I haven’t met too many pilots who own tailwheel aircraft and don’t like them! I like it well enough, but I don’t see tailwheel as particularly fun. Before buying Carlson, I looked at 150s. Sadly every one below $14k was a major fixer-upper. If we look at modern airplanes that come in both layouts, instead of historic airplanes, there’s very little to choose between them, except lower insurance premiums for trikes. Aerotrek A-220 and A-240 make a good example. Sure enough, ultralights magnify the tailwheel advantage. If you look at Belite, t/w is $1k cheaper and accepts 20 lbs heavier pilot. BYF has similar numbers too. But that’s why I said that I fly tailwheel because I’m cheap. Even in backcountry, if we look at who’s doing the real work, we can see that 175 beats Maule in speed and payload while flying into the same strips. I remember how one guy famously landed a 170 with 2 little girls on a gravel bar after an engine failure. Later a guy in 206 flew in, carrying a new engine. Doesn’t seem like tailwheel mattered at all even for a fairly rough surface. If round engine antiques were trikes, they would be just as fun for me. Just look at Yak-18 for an example. If I had some $30k or $50k, I would rather have Mooney M20C than Swift. BTW, one case that particularly made an impression on me was a guy at PoA, Tom, who had a beautiful Fairchild F24. He had thousands of hours in old airplanes, but one day he got just a little unattentive and ground-looped it. The airplane was a total loss. So I thought, if Tom can lose it just like that, what are my chances? Of course my problem was that the choice was to either I buy a $10k airplane or I do not fly at all. At least I’m not going to write off a irreplaceable antique when my time comes. As you noted, the tailwheel design does have advantages: less weight and drag, better protection for the prop (check out a 30 year old TW prop vs the same one on a nosewheel aircraft), tighter turn radius on the ground, no need for a tow bar, simpler & less expensive landing gear, etc. Bummer about Tom’s ground loop. It’s true, it can happen to anyone if you’re inattentive. On the other hand, people bend nosewheel airplanes all the time, too. To each his own! There’s certainly nothing wrong with putting the third wheel up front. They make most airplanes that way for a reason. Are Ground loops guaranteed 709’s? I kept hearing otherwise. would there ever be a circumstance where a GL would lead to a 709? The standard FAA answer; It depends. If you damage the aircraft to the point where the GL becomes a reportable accident then a 709 maybe given. You can ground loop your aircraft and not ever have the FAA become involved.